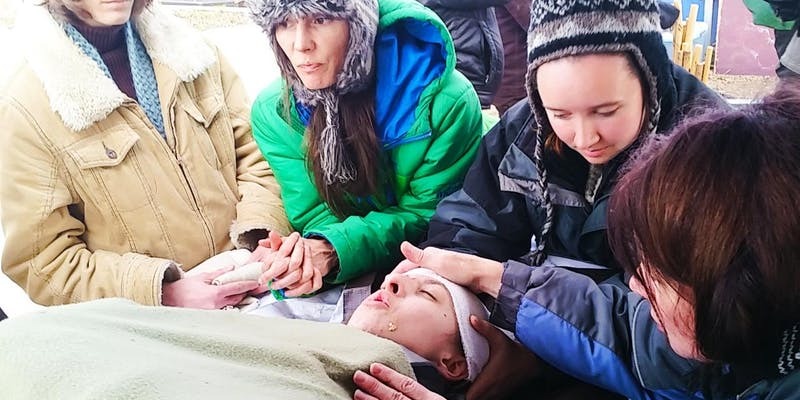 Get your wilderness first aid AND CPR certification while learning about how to set up an emergency clinic, in this winter scenario-driven 5-day course. You will leave with a CPR certification as well as a 16-hour Wilderness First Aid certification issued by ECSI in addition to two textbooks, and optional access to an online post-disaster herbal medicine course. There are 40 hours of on-site training and an additional (optional) 8-week course as an add-on option. Hands-on training and practice is emphasized very strongly throughout this 5-day intensive. Wilderness first aid certification is provided by ECSI, which is created, endorsed and underwritten by the American Academy of Orthopedic Surgeons (AAOS) and American College of Emergency Physicians (ACEP). A national ECSI certification card is issued which is valid for 2 years. Early Bird tuition is $475. (Online processing fees apply) Only 7 spots available at this price! Location: Lafayette, CO at the Colorado School of Clinical Herbalism campus. LODGING: students are responsible for their own accommodations during this course. Please be aware of our cancellation/transfer policy. There are no refunds or transfers for this course.